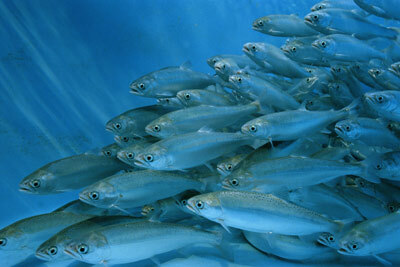 Aquaculture, or fish farming, is the source of an ever-increasing percentage of the world’s seafood supply. With the worldwide population boom overtaxing wild fish supplies, sustainable aquaculture is a necessary part of the solution if fish is to remain a staple of the human diet. Asian countries have been using aquaculture to supplement the wild caught fish supply for many years, but only recently has farmed tilapia and Atlantic salmon found their way to mainstream acceptance in the United States. However, it has quickly become a boom industry, with more than $1 billion worth of farmed tilapia being imported last year, continuing a streak of several years of massive growth. There’s a whole separate facet to aquaculture as well. In contrast to the large commercial, mostly ocean-based farming operations, there is also a market for family-sized aquaculture systems that can be housed and maintained by the average American family in an average American home. These systems also allow for the cultivation of significant quantities of fresh produce, grown organically using the waste of the tilapia as fertilizer. These setups are also cost-effective. Home aquaculture systems offer the consumer sustainably-farmed, organic produce at less of a long-term cost than shopping at the market. Upscale, envionmentally-conscious consumers are a target market, but these systems are also ideal for public projects, like community gardens or school-based interactive science installations.